WHAT’S GOING ON IN THE VINEYARD IN JUNE: The Golden Hues of Hibernation! The vines are enjoying their R&R, becoming dormant and building up their strength for the next growth cycle. 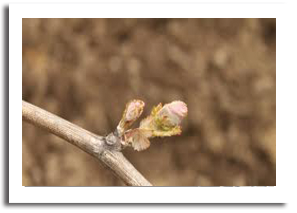 Bud dissection may be conducted where samples of cut buds are analysed for next year’s potential yields from various different sections across the vineyard to determine what pruning style should be used. Weed control is kept on top of and general housekeeping is maintained. 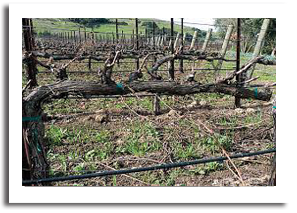 Canopy wires are dropped, general maintenance of all vineyard equipment occurs. 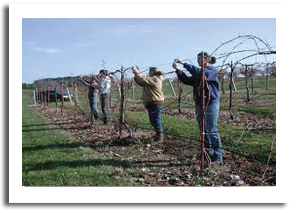 Vineyard staff often take holidays before the onset of pruning. WHAT’S GOING ON IN THE WINERY IN JUNE: Bottling the Whites! 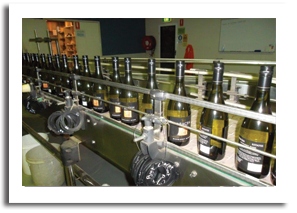 It’s the busy time of bottling the aromatic whites, this includes Sauvignon Blanc Semillon and Sauvignon Blanc. Chardonnay is still in barrel on lees being stirred fortnightly, or a little less or more frequently depending on the results of sensory assessment. Checking and assessing of reds in barrels continues, during June this mostly involves assessing malic acid levels to see if MLF is complete or nearing completion. The reds are racked and assessed every three months. The wine is tasted first before each racking to evaluate the effects of different oak to reinforce that the correct barrels have been used for the desired taste outcome. If all the barrels are satisfactory they are racked to tank, analysed and pumped back to barrel for further maturation until the next assessment and racking. WHAT’S GOING ON IN THE VINEYARD IN JULY: Pruning! The vines are either spur or cane pruned by hand, leaving a predetermined number of buds on each shoot on the vine to control yield for the next vintage. Grape vines essentially grow like weeds even though they produce a super-premium product—by controlling growth quality and flavor can be maximized even though it means far lower yields than possible. WHAT’S GOING ON IN THE WINERY IN JULY: Quiet Winter Times! Reds will also have finished MLF as we get settled into the cold winter months. A post MLF acid addition may be made to lower ph and increase TA. A post MLF sulphur dioxide addition will also be made. SO2 acts as an anti-microbial and anti-oxidation agent in wine and together with low pH ensures wine quality and stability. This is the time of year a lot of winery staff takes holidays and head somewhere warm! WHAT’S GOING ON IN THE VINEYARDS IN AUGUST: Pruning! Pruning is being finished with Chardonnay pruned last at the end of August, to prolong the onset of bud burst. The vines are looking the neatest they’ve been all year! If there are any nutrient deficiencies, the soil is aerated, fertilisers applied as well as mulches for weed control. WHAT’S GOING ON IN THE WINERIES IN AUGUST: the Quiet Months of Winter! 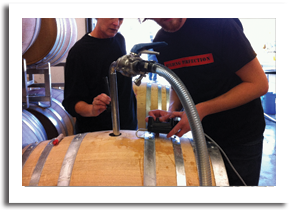 Wines in barrel are monitored and maintained. 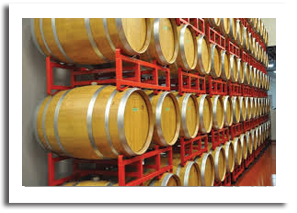 When wines are racked from barrel to tank they are checked for pH, TA and SO2 levels. It is generally a quiet time in the winery, and many staff take holidays or in smaller operations head out to the vineyard to help with pruning.